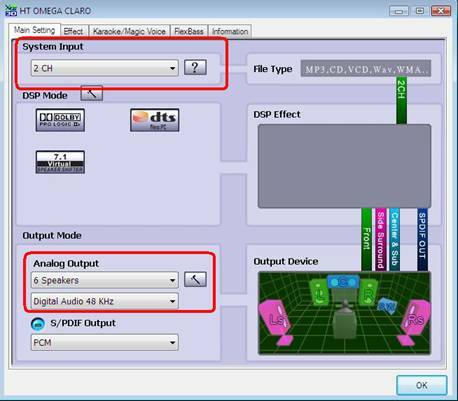 Windows Vista handles System Input uniquely compared to previous (XP) and later Windows versions. Vista does not use DirectX for multiple audio outputs as in previous versions of Windows. The solution is to use the provided C-media System Input. 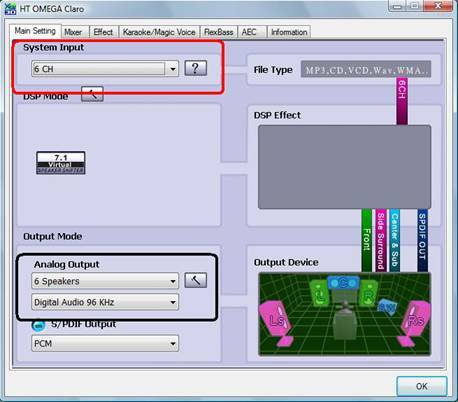 Users must select the System Input channels according to their audio source. 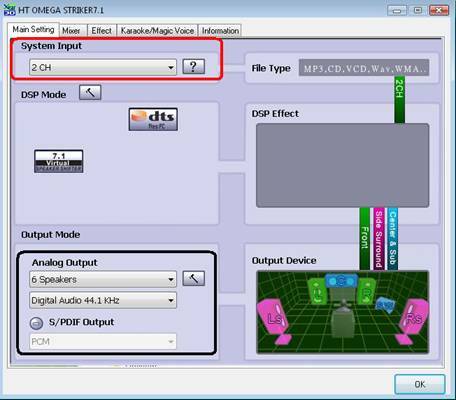 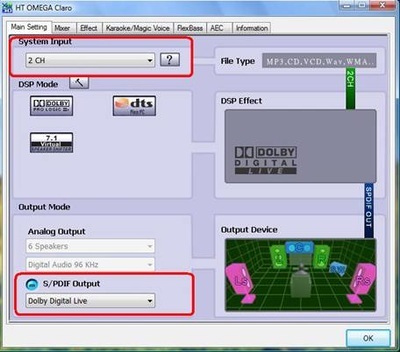 For 2ch stereo files such as MP3, AVI, games, etc., set the System Input to 2ch regardless of what type of multichannel speaker system you are using. For multichannel audio sources such as a DVD movie title, please set System Input to 6ch.